Candy Crowley previews her interviews with Gen. McChrystal, Gen. Hayden, and her panel on the future of the GOP. On State of the Union, we’ll look at the Pentagon’s decision to lift its ban on women in combat, and North Africa as a breeding ground for militants who threaten the U.S. with retired Gens. 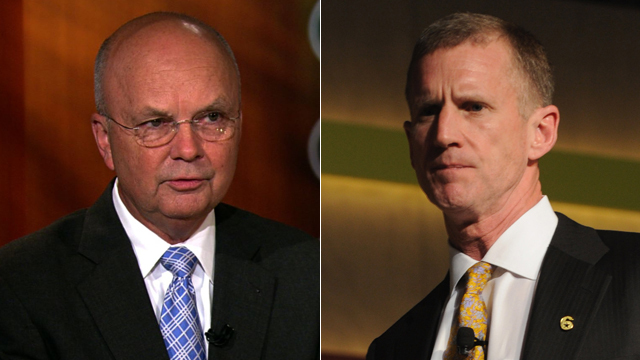 Stanley McChrystal and Michael Hayden. Then, Sen. Dianne Feinstein (D-California) on her push to ban assault weapons and the Algeria terrorist attack. Plus, the Republican Party’s new outreach to minorities with Virginia Gov. Bob McDonnell, Wisconsin Gov. Scott Walker, Saratoga Springs, Utah Mayor Mia Love and former Commerce Secretary Carlos Gutierrez. Watch Sunday at 9a & Noon Eastern.